KEVIN APPEL (b. 1967, Los Angeles, CA) received his Bachelor of Fine Arts degree from Parsons School of Design in New York in 1990 and his Master of Fine Arts degree from the University of California, Los Angeles in 1995. The artist is the recipient of the 2011 California Community Foundation Fellowship for Visual Artists and the Citibank Private Bank Emerging Artist Award, The Museum of Contemporary Art, Los Angeles. 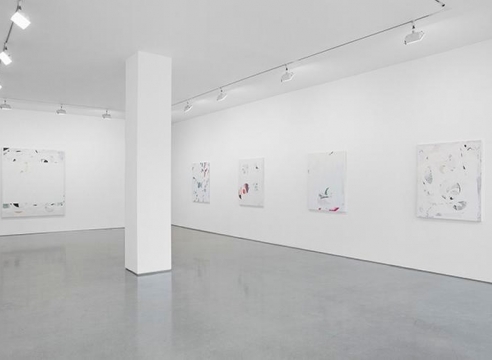 Appel has had numerous solo exhibitions both nationally and internationally, which include Christopher Grimes Gallery, Santa Monica, CA; “Paintings,” Susanne Vielmetter Los Angeles Projects, Culver City, CA; “Drawings,” ACME., Los Angeles, CA; Marianne Boesky Gallery, New York, NY; Wilkinson Gallery, London, England; Angles Gallery, Santa Monica, CA; and The Museum of Contemporary Art, Los Angeles, CA, among others. 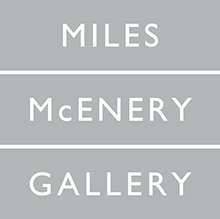 Recent group exhibitions include "EVOLVER," L.A. Louver; "Belief in Giants," Miles McEnery Gallery; “Endless House: Intersections of Art and Architecture,” Museum of Modern Art, New York, NY; “XL: Large-Scale Paintings from the Permanent Collection,” The Frances Lehman Loeb Art Center, Vassar, Poughkeepsie, NY; “Black/White,” LaMontagne Gallery, Boston, MA; “Los Angeles Nomadic Division ‘Painting in Place,’” Farmers and Merchants Bank, Los Angeles, CA; “Painting Two,” Two Rooms Gallery, Auckland, New Zealand; “Kevin Appel, Canon Hudson, Betsy Lin Seder,” Samuel Freeman Gallery, Los Angeles, CA; “LANY,” Peter Blum Gallery, New York, NY; “Beta Space: Kevin Appel and Ruben Ochoa,” San Jose Museum of Art, San Jose, CA; “L.A. NOW,” Galerie Fiat, Paris, France; “California Modern,” Orange County Museum of Art, Newport, CA; and “Drawing Now: Eight Propositions,” The Museum of Modern Art, New York, NY, among others. Appel’s work may be found in the permanent collections of the Hammer Museum, Los Angeles, CA; The Museum of Modern Art, New York, NY; the Los Angeles County Museum of Art, Los Angeles, CA; the Museum of Contemporary Art, Los Angeles, CA; the Portland Art Museum, Portland, OR; Minneapolis Institute of Art, Minneapolis, MN; The New York Public Library, New York, NY; the Walker Art Center, Minneapolis, MN; the Rhode Island School of Design, Providence, RI; the Misumi Corporation, Tokyo, Japan; the Fogg Museum, Harvard University, Cambridge, MA; the Logan Collection, Vail, CO; and the Saatchi Collection, London, England. 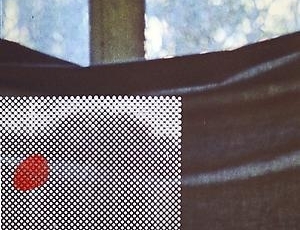 Appel lives and works in Los Angeles, CA. 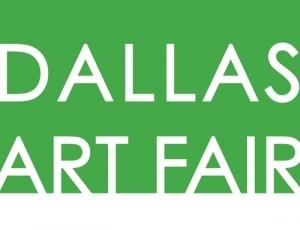 In the heart of the downtown arts district, the Dallas Art Fair offers collectors, arts professionals, and the public the opportunity to engage with a rich selection of modern and contemporary artworks presented by leading national and international galleries. Thoughtfully curated exhibitions and innovative programming encourage lively conversations and close looking in a robust and rapidly growing arts community. Organized annually by the Art Dealers Association of America (ADAA), The Art Show offers collectors, arts professionals, and the public the opportunity to engage with artworks of the highest quality through intimately scaled and thoughtfully curated exhibitions that encourage close looking and active conversation with gallerists. 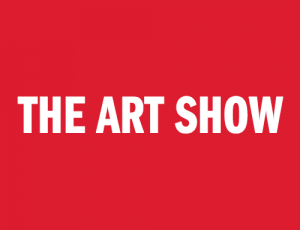 Presentations from 72 of the nation’s leading art dealers provide audiences with a rich selection of works from the 19th century through today, by artists of a variety of genres, practices, and national and international origin. 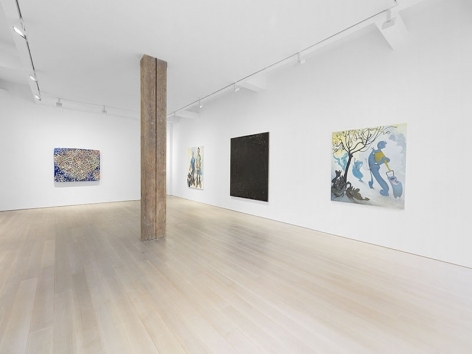 Curated by Kevin Appel, Cécile Whiting, and Stephen Barker. Opening Reception: 29 September, 2018 | 2:00 – 5:00 p.m.
Join us at this week’s Lunch on Fridays talk to hear from visiting artist Kevin Appel, whose paintings explore the relationship between physical space, architecture and the painted image. Using photographs as a ground to build his painting, he applies layers of paint that act as screens, compressing the perceived space. 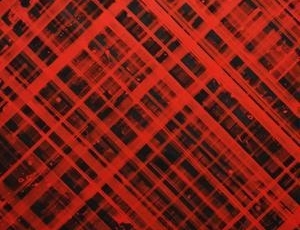 Christopher Grimes Gallery is pleased to announce a solo exhibition of new works by Kevin Appel. 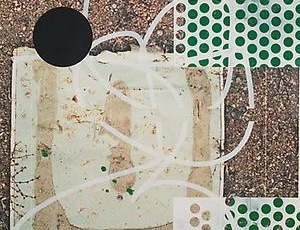 Appel’s new series of paintings begin as primary arrangements: cut-out paper forms referencing the portholes of Jean Prouvé’s Maison Tropicale are combined with Appel’s own photographs of fragments of his previous works, landscapes, and images of Paolo Soleri’s Arcosanti. 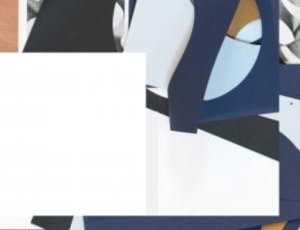 These forms are constructed into soft, sculptural collages on the studio wall that are photographed at close range and then printed onto canvas. 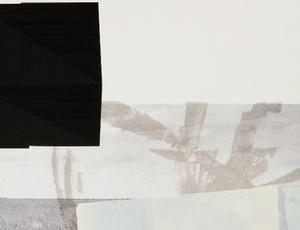 Multiple layers of geometric and gestural marks are silkscreened and hand painted over these flattened images creating a rhythm within the painting while obfuscating the original subject matter. 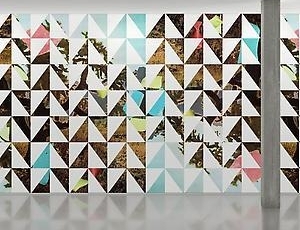 Appel’s paintings are prismatic collages, an investigation of new and old imagery engaged in a recursive conversation where images and forms are pulled from one canvas and used in another, their intersection hinting at a controlled collapse of utopian ideals. 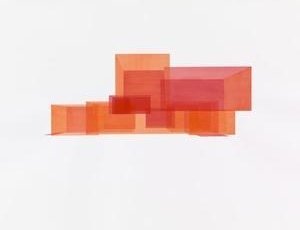 Two works by Kevin Appel, House - South Rotation Red: 4 West and Houses and Timbers I, are included in a group exhibition, Endless House: Intersections of Art and Architecture, at MoMA from 27 June 2015 - 6 March 2016. 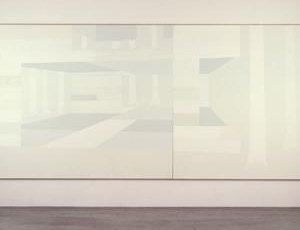 Christopher Grimes Gallery is pleased announce its forthcoming exhibition Kaleidoscope: abstraction in architecture. This exhibition brings together artists from different backgrounds that engage with the languages of abstraction and architecture through multiple media to achieve distinctly varied results. Included in the exhibition are works by Kevin Appel, Carlos Bunga, Gianfranco Foschino, Veronika Kellndorfer and Lucia Koch. The ever-expanding measurments of paintings has been a topic of interest since the mid-twentieth century when New York School painters first pushed the boundaries of museum walls to ehir limits. In 1947, at the height of the Abstract Expressionist era, the Museum of Modern Art mounted an exhibition called Large-Scale Modern Paintings; to qualify for inclusion, paintings had to measure at least six feet in one direction. Today, a similar set of criteria has been applied to the Art Center's permanent collection to arrive at a group of monumental paintings that are at once impressive and daunting. These larger-thank-life canvases invite an extraordinary visual experience in which the viewer is immersed in the field of painting. XL, which includes work by Kevin Appel, Roger Brown, Nancy Graves, Joyce Kozloff, Alfred Leslie, Agnes Martin, Joan Mitchell, and Jules Olitski, is a testament to the enduring visual power of mural-sized painting. The University Art Galleries (UAG) will mount a solo exhibition of paintings by Ed Moses, utilizing all three galleries and featuring works from the 1960s to the present. Cross-Section will trace the common thematic thread binding Moses’s prolific and continuous act of exploration. In so doing, the philosophical continuity of the artist’s disparate visual strategies will be framed, strategies the artist has repeated and contradicted, as his investigation into the painted form has changed direction or reversed course over the past five decades. The curatorial perspective, in turn, will provide a rhizomatic framework to Moses’s oeuvre – a genealogy of these strategies – in place of the conventional, chronological account typically used by institutions to situate an artist’s work within historical movements alone. An accompanying exhibition catalogue, featuring dynamic color plates of the work and scholarly essays by the curators as well as the legendary art historian Barbara Rose, provides the cultural context for Moses’s mutational practice. Kevin Appel Answers the Perennial Question: New York or Los Angeles? The Ghost of Architecture celebrates the addition of important works of art to the Henry’s permanent collection in the last five years. Curated from recent gifts and promised gifts to the collection, the exhibition focuses on contemporary works that invoke architecture without citing it directly. 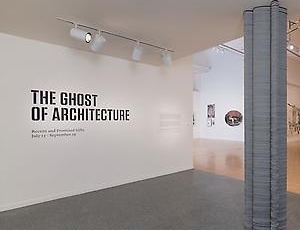 Architecture or the architectural dimension is referenced by the artists in the show, either as a displaced or isolated fragment, as fantasy or folly, as the site of ordinary or extraordinary events, or as memory or the missing context in larger narratives. 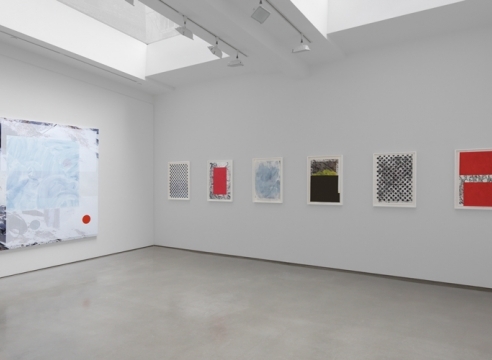 Christopher Grimes Gallery is pleased announce an exhibition of new work by Kevin Appel. 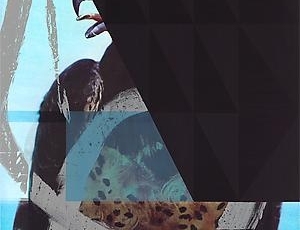 This will be Appel’s first exhibition with the gallery. 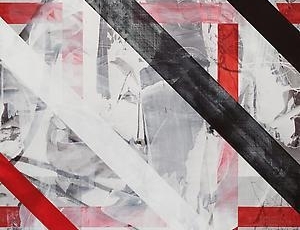 Kevin Appel’s paintings explore the relationship between architecture and the painted image. Using photographs as a ground on which to build his painting, he applies layers of paint that act as screens, compressing the perceived space. The act of looking through one element to another, or the blocking of one impenetrable layer by another has become a hallmark of his paintings. EXPO CHICAGO, The International Exposition of Contemporary and Modern Art, is proud to announce the following list of artists that will participate in IN/SITU. Curated by Shamim M. Momin, Director, Curator, and co-founder of LAND (Los Angeles Nomadic Division), IN/SITU is a key element of the exposition's innovative artistic programming, providing the opportunity for exhibitors to showcase large-scale installations, site-specific and performative works by select international artists. Under the title, “Levity/Gravity,” the program includes work from Diana Al-Hadid, Kevin Appel, Sanford Biggers, Jose Dávila, Dan Gunn, Karl Haendel, Glenn Kaino, Andreas Lolis, Michael Rakowitz, Shinique Smith and Alec Soth. 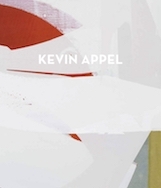 Kevin Appel was born in Los Angeles. He received his BFA from Parsons School of Design in 1990 and his MFA from the University of California in 1995. He is a Professor and Associate Chair of Graduate Studies at the University of California Irvine. 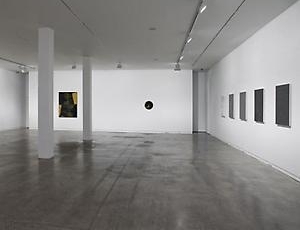 His solo exhibitions include Susanne Vielmetter Los Angeles Projects, Culver City (2012); ACME Gallery, Los Angeles (2009); Two Rooms Gallery, Auckland (2008); Wilkinson Gallery, London (2006); Angles Gallery, Santa Monica (2006, 2002, 1999, 1998); Museo Rufino Tamayo, Mexico City (2003); Marianne Boesky Gallery, New York (2001); and the Museum of Contemporary Art, Los Angeles (1999). 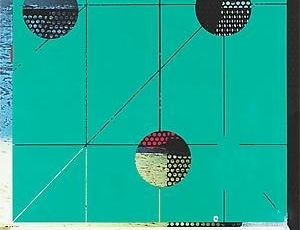 His work is included in MOMA, LACMA, MOCA, and Portland Art Museum in Oregon. He has an upcoming show at Christopher Grimes Gallery in September 2013. 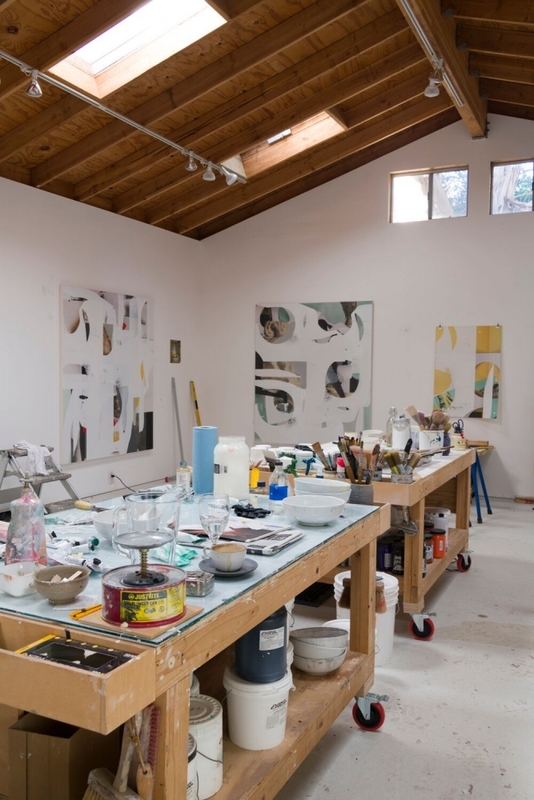 Appel maintains a studio in Los Angeles. Two Rooms presents an exhibition celebrating the power of a material once basic to the artist: paint. At times neglected in an era of video, installation and conceptual art, paint has not gone away. All the artists in this group have a strong engagement both with its physical properties and its transformative potential. Painting in Place is a group exhibition of contemporary painting which will be presented in the historic Farmers and Merchants Bank in Downtown Los Angeles (401 South Main Street Los Angeles, CA 90013). The exhibition will present a wide array of work from contemporary artists that tackle painting from various perspectives, using both traditional and unconventional techniques and media in their approach to the discipline. Exploring various ways sculpture, and installation: blurred, deconstructed, and refigured. In the long list of ways that New York differs from Los Angeles, we’ve always been particularly fascinated by one: New York can be a very physically demanding place to live, but it is not a difficult city to understand on a psychological level. 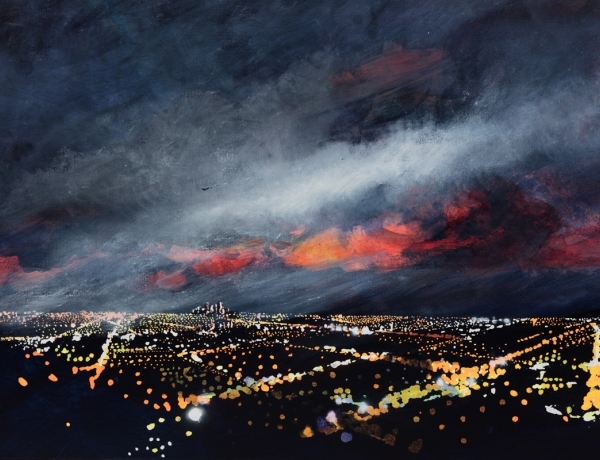 In Los Angeles, the living is easier, but there seems to be – especially among artists – a constant grappling to define and understand LA as a place. LA artist Kevin Appel explains it this way: “Los Angeles has always had a bit of an identity crisis partially due to the external view of LA as having this superficial mentality tied to the film industry. 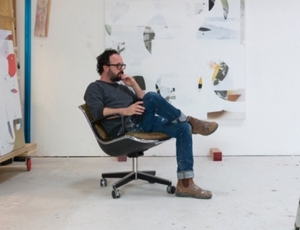 It doesn’t have a long lineage of a canonical or intellectual history, as opposed to New York.” He should know: Appel is a native Angeleno who has called the city home for almost his entire life – save for a brief stint at Parsons for his BFA – and he’s been steeped in the city’s history and vocabulary since birth. Growing up, his father was an architect and his mother an interior designer, so it makes sense that the city’s structures and surroundings would eventually become his subject matter.